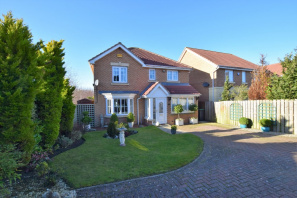 Built in 2005, this immaculate four bedroom detached house is finished to a very high standard and should be viewed to appreciate the quality of the fixtures and fittings on offer. Located in a secluded spot within a cul-de-sac on a modern development, the highlights include a quality kitchen with granite worktops and integrated appliances, two reception rooms, a large conservatory and landscaped gardens to the front and rear, plus off street parking. 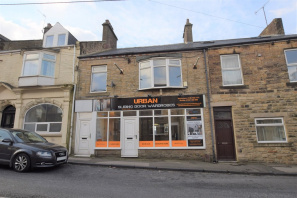 An incredibly spacious first floor flat in a good location with panoramic views to the rear towards the countryside and is available with vacant possession. Full of character with period features the accommodation comprises of a entrance lobby and hallway, first floor landing, lounge, conservatory, kitchen/diner, two bedrooms and a large bathroom. A further staircase leads to a large loft storage room with Velux windows. Gas combi central heating and an EPC rating of D (62). 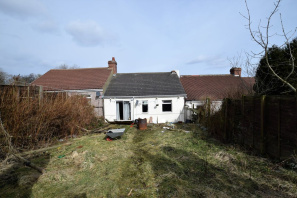 *** ATTENTION LANDLORDS - CURRENTLY RENTED AT £400 P4W OFFERING A 10% YIELD RETURN *** A spacious 2 bedroom mid terraced bungalow with a large front garden. Situated in Bradley Bungalows the property briefly comprises a large lounge/diner overlooking the front garden. A fitted kitchen with integrated cooker, white bathroom suite, 2 good sized bedrooms, lawned garden with open fields beyond, self-contained yard to rear. Benefiting from gas central heating and full double glazing.